Rare books are books which have been printed before 1850, are only known to exist in a few copies or have important provenance. Damage has occurred to parts of this collection due to soot residue from open fireplaces in the libraries, degradation and embrittlement of leather has led to boards and spines becoming detached. Furthermore, due to empty spaces on the shelves with no books ends to keep books upright, books have fallen over causing them to become warped and boards becoming detached. To preserve these books, they are being surface cleaned, and those with loose board or spines are being tied with cotton tape. The Rationalisation project has had a fantastic volunteer involvement. 103 hours 45 minutes in total have been donated by volunteers since June 2017, of which 61 hours 15 minutes have been donated by Edinburgh University students. 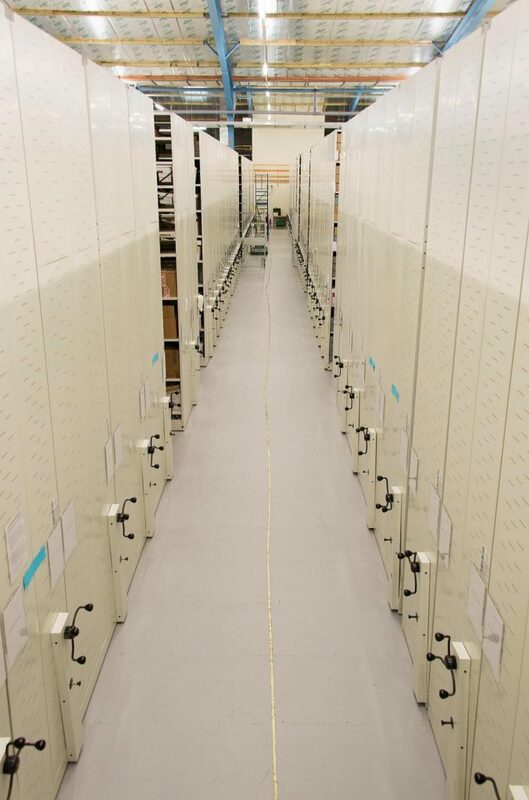 Rehousing the Lothian Health Services Archive (LHSA) collection has received 21 hours of treatment which has meant 146 confidential case note files have had the metal fastenings removed the documents rehoused. 82 hours 45 minutes has been spent on the rare books collection. 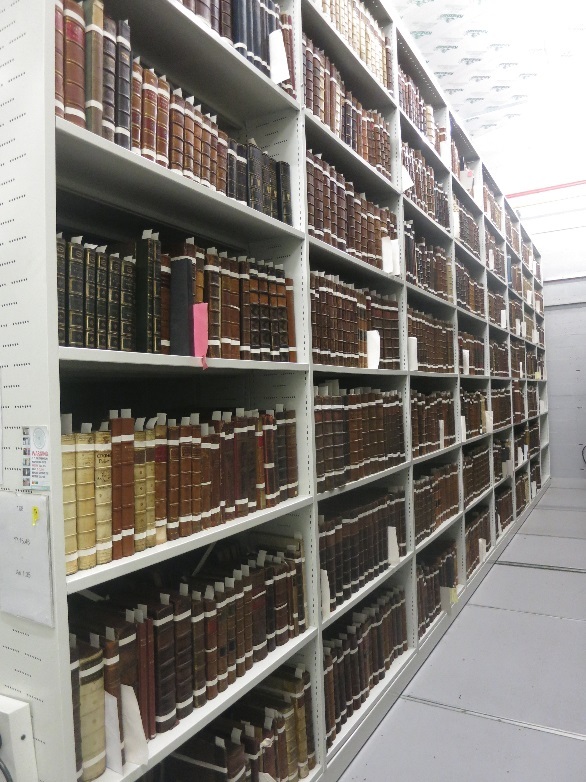 The rare books volunteers have been using smoke sponge to remove surface dirt and soot from the volumes and have been tying the books with cotton tape. Encouraging volunteers to work with the conservation department has really helped to increase productivity and on average across the two projects has added around 26 extra hours per month towards caring for the collections. We have really benefited from the use of volunteers in conservation, but we also ensure that our volunteers are receiving a useful experience by talking to them about what they want to get out of the time spent with us, and involving them with other aspects of working within the CRC. Often our volunteers go on to study postgraduate courses in conservation or a heritage related discipline. The experience of volunteering gives them an insight into what a career in conservation is like, and helps them decide if it is right for them. Create clear and concise instructions for volunteers. Don’t assume peoples level of knowledge, books are familiar objects, however books from the sixteenth century will require a different method of handling than modern books. Clearly explain how the objects should be handled and how the work should be carried out. Think about the number of staff available, how much supervising the activities need and how many volunteers is practical for the space you will be working in. I learnt that two volunteers is the most practical number for me to supervise whilst we work in the stacks. Consider how much equipment is required. I found making sure everyone had one of everything on their bench improved productivity as it meant they weren’t waiting for someone else. Think about how long it takes to set up. The quantity of work completed should be worth the time spent setting up. Bear in mind how regularly volunteers will visit and how long for. Help from volunteers will greatly assist in productivity but it should fit in with your current work plan. This entry was posted in Projects and tagged Collections rationalisation project, rare books, surface cleaning, volunteers by conservation. Bookmark the permalink.